Want to do some spring lawn cleaning and maintenance? If so, you need to consider renting instead of buying some of your equipment. While buying may be good for convenience, you may have problems down the road. Equipment needs constant maintenance and care to work properly, and for something you will only use every so often it may be best to rent instead. Renting equipment for lawn care may be a better option because you know that whatever you will use is efficient and well-maintained. Of course, you don’t need to rent everything. To give you a guide, here are some equipment you may want to rent for your spring lawn care. An aerator is an equipment used to pierce or perforate the soil with small holes. These small holes enable nutrients, air, and water to penetrate the soil and eventually, the grass roots. If you want a healthy lawn for the spring, an aerator is good equipment for you to rent because an aerator is not something that you need often. It is something that is also best done in the early spring. While it is true that the grass grows a lot faster during the summer, you’d need to prepare your lawn for the grass to grow well in the spring. This is where lawnmowers come in handy. However, no matter how often you’d think you’ll use a lawnmower, there is a benefit in rending one instead. For one, you’ll have access to different types of lawnmowers for just a fraction of the cost. 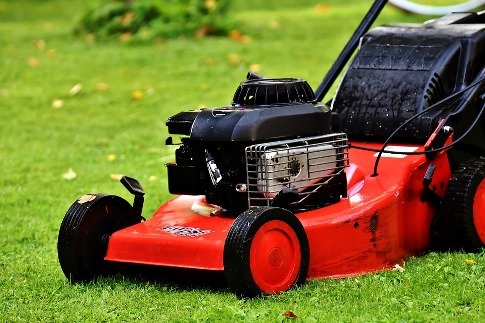 Lawnmowers also require maintenance and repair, but you can do away with it if you choose to rent one instead. A hedge trimmer is a good equipment to rent because you will only ever use it for spring and summer. Hedge trimmers require constant maintenance to make sure that the blades won’t get dull and damage branches. Save yourself the trouble by renting hedge trimmers instead. Spring is the best time to trim hedges because keeping them long during the winter helps the plant survive. Trimming hedges and branches using a hedge trimmer during the spring encourages plants to grow healthier. In the end, spring is the best time to keep your lawn neat and tidy because it is the perfect base for plants to grow and branch out. The better you maintain your lawn during spring, the better your lawn will look like for the next seasons. Remember that maintenance for spring doesn’t have to be costly. Save a couple of bucks and rent these equipment instead of buying your own.